Dublin Games Summit is a Video Games Summit that will be running on July 19th. The gaming industry is the fastest growing market in the world and DGS is the next step to bringing Ireland into this international market. The event was founded by people who have run successful gaming events in the past such as G-series and the 8Bit Gaming Conference as well as being part of the Irish gaming community. DGS is being held in the Alex hotel in Dublin city centre making it easily accessible for both Irish and international attendees. The event boasts over 21 talks and over 35 speakers from across Europe. Each of the three rooms will provide different topics in the gaming industry. These include Esports, Future Tech, Game Development, Streaming platforms (such as Mixer and Twitch), Engineering and Diversity in Gaming. Attendees will have more than enough to keep themselves entertained as well as learn a lot of new facts about the ever-growing industry. This is the first year of Dublin Games Summit but the content that will be available is pretty high. 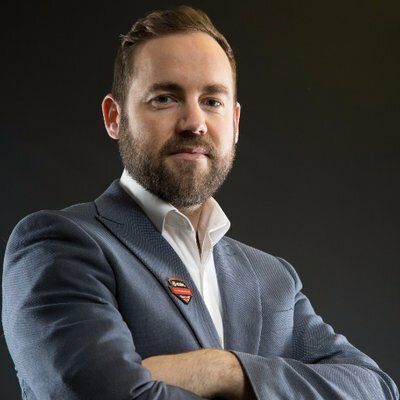 James Dean, (Founder of ESL UK, not the musician), will be giving a talk in the esports and business room on ‘Esports 2018: Leaders of a new frontier’. Esports is an ever-expanding market and more and more companies are getting involved with tournaments around the world. Facebook, one of Dublin Games Summits key sponsors, will be talking about their plans and promise to help transform the industry for the better by making it more accessible for minorities and smaller communities. Dublin Games Summit also has some powerful sponsors. Big names such as Edgescan, Facebook, ESL and Design Partners have joined in to support this event showing that not only is the Irish market worth investing in but that Dublin Games Summit is working high-quality companies that are relevant to the industry. “Supporting the DGS is a proud move for us, giving Edgescan the opportunity to support something we all enjoy. Dublin Games Summit has a powerful lineup of both speakers and sponsors. Even though it is a single day event it promises to deliver high-quality content and a lasting experience. Registration for the Event opens at 8.30am and finished at 6pm. There is also an after-party at Lillies Bordello. For those who are unable to attend the event in person, several of the talks will be live streamed to Mixer from 9am on Thursday 19th. Hope to see you there!